Juha Salo Racing 2010 livery: https://www.racedepartment.com/downloads/juha-salo-racing-2010.26464/ (will add the Finland 2010 livery once that DLC drops :D) Enjoy! In the heavy rain. In the HE- oh never mind. 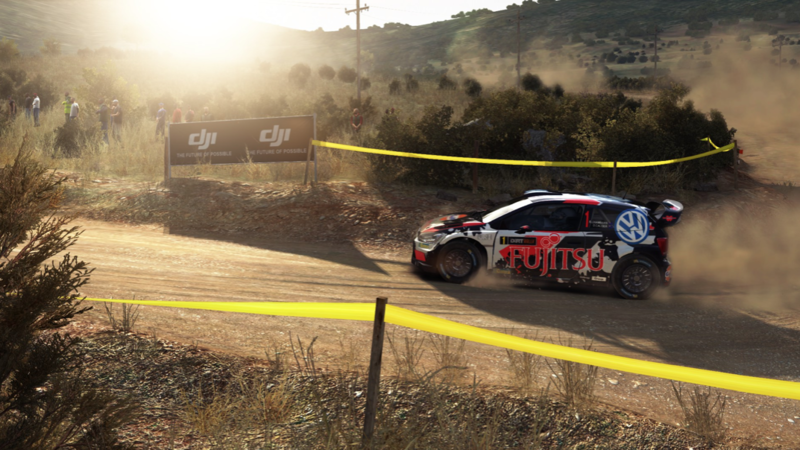 Roland Poom's JWRC Fiesta R2 ready to download from RD: https://www.racedepartment.com/downloads/roland-poom-jwrc-2019.26332/ Enjoy! Yea it would be a Club only solution but that's fine from my point of view. I'm willing to accept the risk for Monthly online events, as all I'm going to lose is a few credits - there's a lot more investment in community run Club events personally. An example of how this could be managed without a blanket 10 minute penalty for clubs: Revert to the DR approach - if you disconnect, you are forced to resume from the last checkpoint set by the organisers. Re-run times should be highlighted on event tables - so event organisers (at least) can see that a time wasn't original and has been re-run. Provide event organisers with the simple ability to disqualify individuals from the event / championship. It's then my responsibility as a participant to provide evidence of that crash - a simple exercise of flicking through a crash report. This provides event organisers the flexibility to make a judgement call, as appropriate to the event they're running. Oh I just need to fix my damn PC! I didn't realise it was that simple, thanks! 👍 It's not happening every single weekly / monthly - but over the course of a 20-stage, 6 location event like the RDRC a BSOD or game crash is bound to happen to a lot of users more than once. With a 10 minute penalty - that's enough to take you / your team out of a title race. For clubs, providing event organisers more visibility / control over whether these penalties are applied is better than enforcing a blanket 10 minute penalty. Yea... I'd rather accept a small subset of people will be working the system, than have my event ruined because my PC BSOD. What's worse - a few dishonest people gaining a few places, or a few honest people coming last cause their PC isn't stable?? It completely voids the time investment in Monthly and Clubs events. One area of concern for me is how disconnects are being managed. My PC just BSOD on the first stage of the NZ weekly, and after restarting and loading back into the event I'm dumped on Stage 2 with a ten minute penalty. Really?? There's not a lot of point in continuing with the event. Maybe if I could easily compare stage times through a Crest alternative I might be motivated to continue.... I really hope when Clubs drops that event organisers are able to choose how disconnects are managed in their events.... Otherwise those of us without rock solid stable PCs will be at the mercy of fate. DR managed this perfectly fine. I'd rather re-run several stages than be out of the event immediately due to a massive time penalty!! livery slots are still limited But they're definitely now usable without penalty as long as you dont change the .nefs.